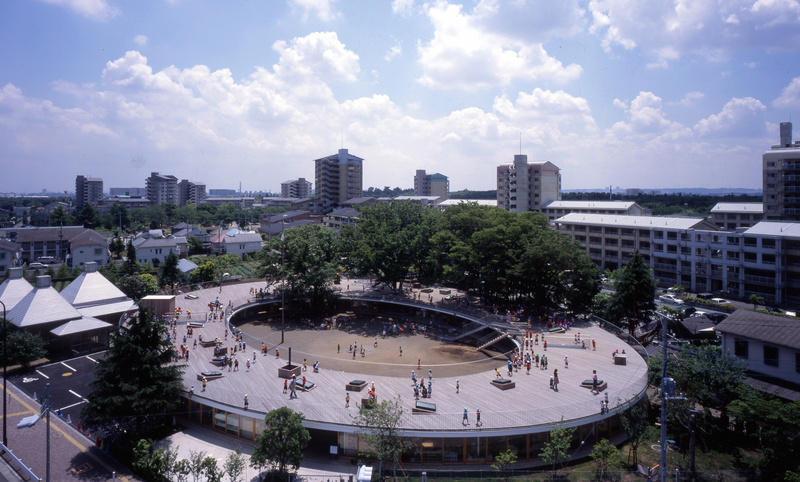 Chinese architecture firm MAD has broken ground on their first project in Japan, a kindergarten in Okazaki, Aichi that will be designed in the owner’s own family house. The subsequent home-like atmosphere of the “Clover house” is meant to foster the school’s pedagogy of emotional bonds and trust. By making a school that is a shelter, the architects seek to create a haven for education. The transformation of the 1,100 square-foot house began with the reuse of the existing wood structure, which is a relatively standard construction. This skeleton is covered y a new skin and structure, which has a blurry relationship with the existing form, including a pitched roof that frames interior spaces while telling a story about the history of the structure. The new skin drapes over the building to cast the old structure in a new light. The architects want it to be like a “mystical cave and a pop-up fort,” and this sense of playfulness is continued in the design of the house, as the building is wrapped in a series of paper-like pieces that act as a canvas for students to draw on. The kindergarten is scheduled for completion in December 2015.